It may just be 24 hours before the big show but that doesn’t mean there isn’t more great stuff to talk about from Kona. 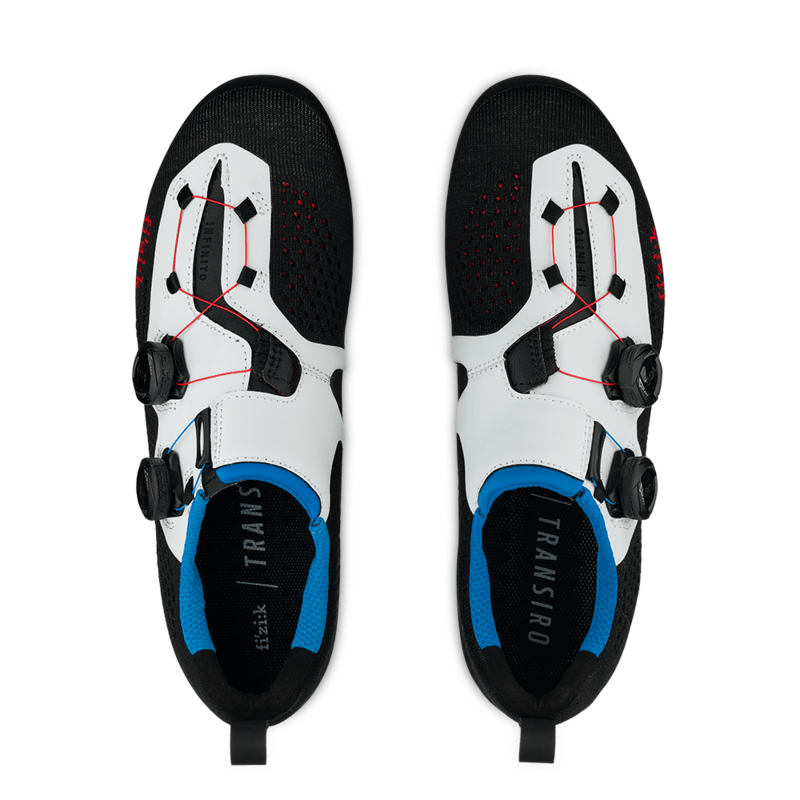 fizik has let us know their new Transiro Infinito R1 Knit shoe is available worldwide. 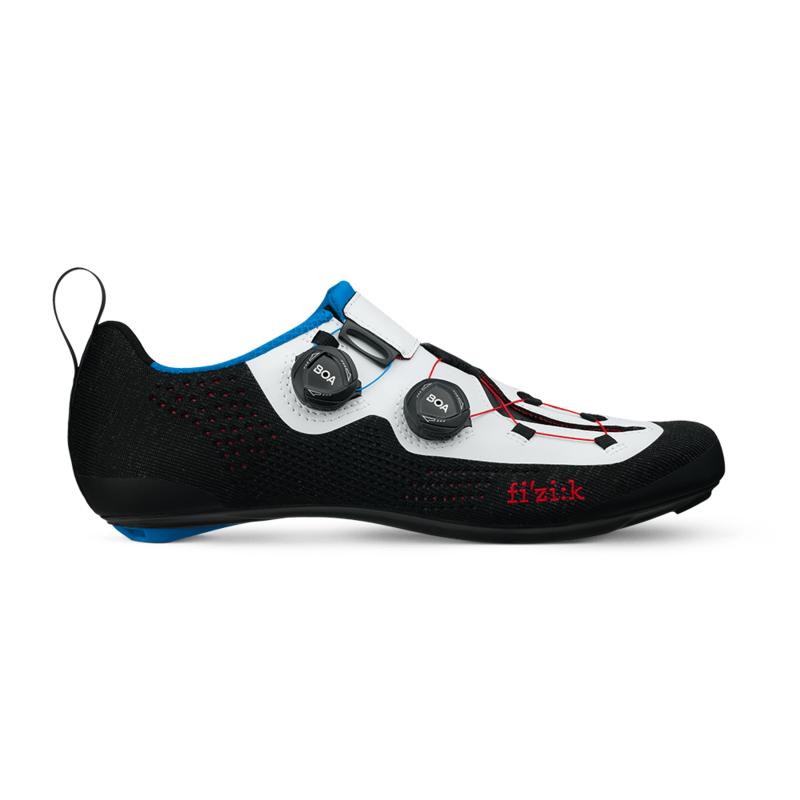 At first glance the Infinito R1 Knit doesn’t look like a triathlon shoe with its double BOA dials. 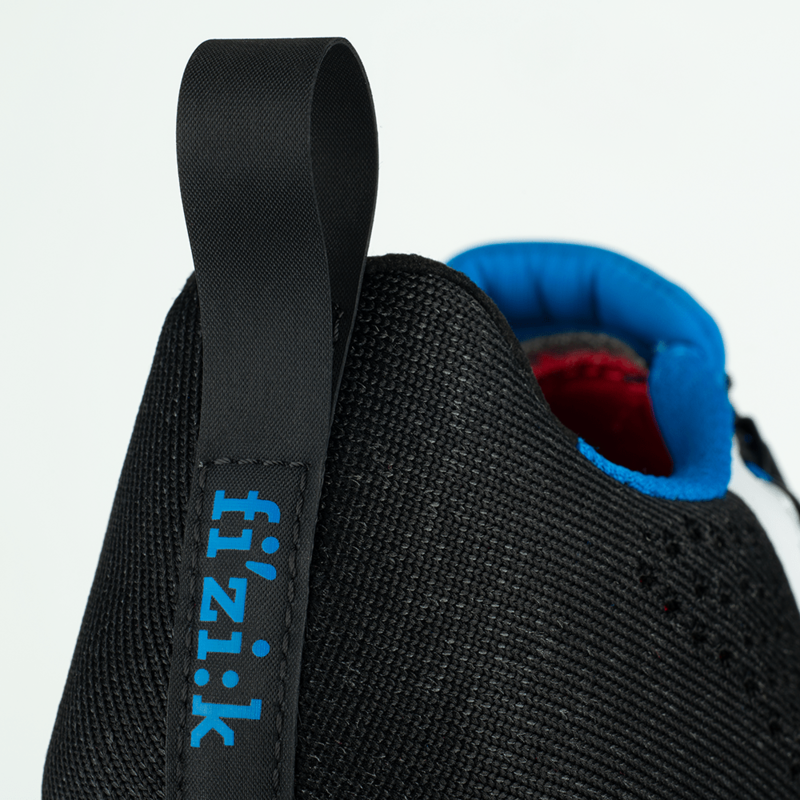 But the construction is enhanced by fizik’s unique knitted material upper – with additional water-repellent treatment ensuring that the yarn does not absorb moisture – for superb comfort, enhanced ventilation and quick drying after T1. 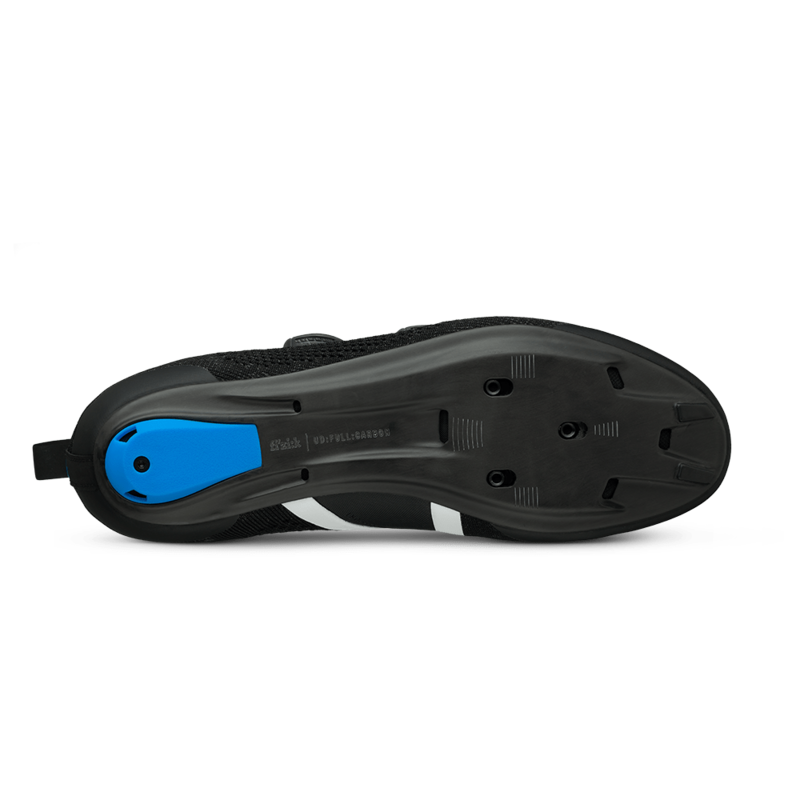 The BOA powered Volume Control system allows a differentiated fit adjustment for the instep and forefoot areas – the shape and volume of which can vary widely between athletes. 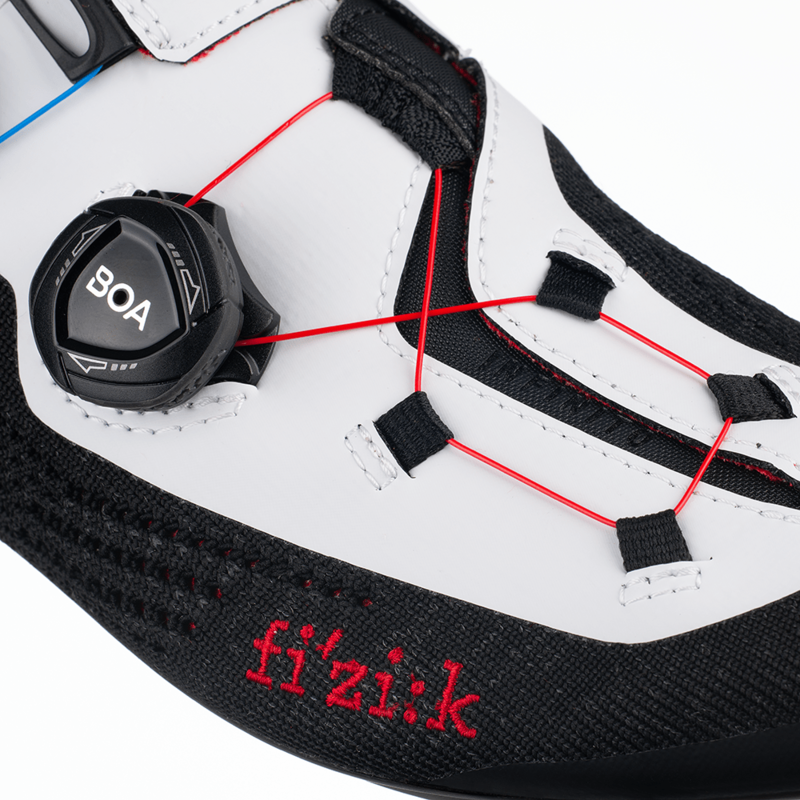 By controlling two separate Boa dial closures, triathletes can fine-tune shoe fit to their unique foot shape for customized comfort and support. 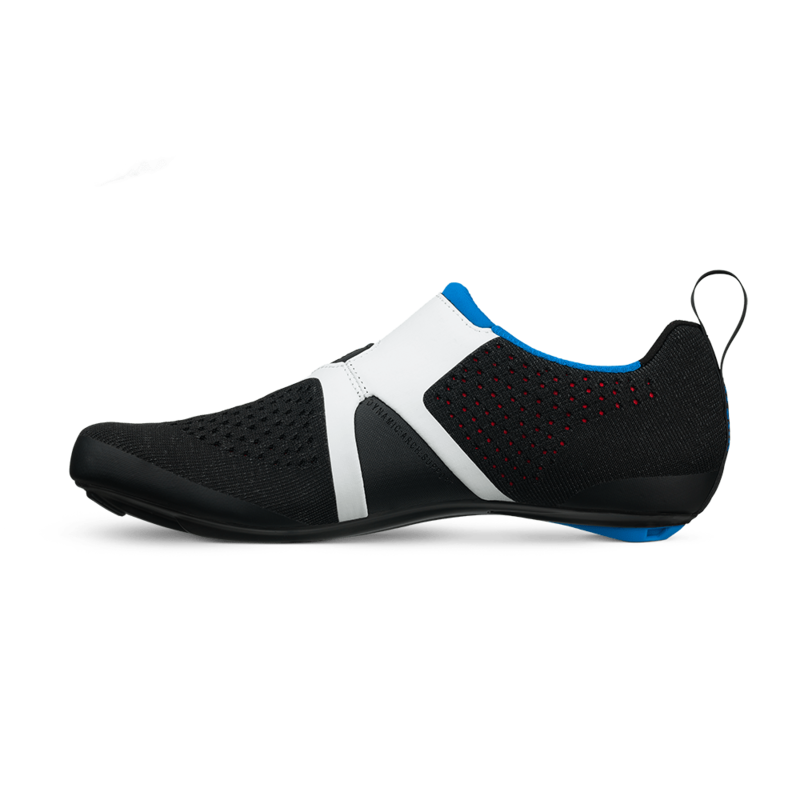 A customized fit of the plantar arch is provided with the Dynamic Arch Support, a dedicated piece of the shoe’s upper that wraps around the plantar arch, and is adjusted for fit with its own Boa dial. The highly stiff R1 unidirectional full carbon outsole is tuned for the maximum power transfer, with vent openings channelling the airflow through the sole for an efficient temperature control. Foot entry at transition is quick and easy. Transiro Infinito R1 Knit’s lower cut neck has a cushioned flat-seam collar for a smooth sockless foot entry and riding comfort. At the back is a large rubberized heel loop for flying entry. Unfortunately Pro level shoes mean pro level prices. The Transiro Infinito R1 Knit retails for $450. Stay tuned to AeroGeeks.com for continued Kona coverage because the clock to the cannon may be winding down but new gear is still yet to come!